Experience the beauty of The Abbey, just minutes from the energy, entertainment and internship opportunities of Charlotte, NC. You can visit Belmont Abbey College at any time throughout the year. Tours are available Monday through Friday at 11 a.m. and 2 p.m. EST. Select Saturday visits are offered at 10 a.m. followed by Mass at 11 a.m.
or register online for your campus visit. Many entertainment choices are only minutes away: US National Whitewater Center, Daniel Stowe Botanical Garden, The Billy Graham Library, Crowders Mountain, Nascar-Lowes Motor Speedway, Carowinds Theme Park, Blumenthal Performing Arts Theater, Mint Museum of Craft & Design, NBA Charlotte Bobcats, NFL Carolina Panthers, many golf courses, malls, antique shops and fine dining. From Charlotte Douglas International Airport (CLT) and all points North: Follow signs to Interstate 85 South. Take I-85 South to Exit 26, the Belmont Abbey College exit. When you exit, you will see the campus in front of you. Turn left at the stop light, then turn right into the first entrance of the college. Follow the signs for Admissions Reception for a tour or Crusader Success Hub for the admissions offices. From the South: Follow Interstate 85 North to Exit 26, the Belmont Abbey College exit. Turn left at the stop sign, and left again at the stop light. You will see Belmont Abbey College to your right as you pass over I-85. Turn right into the first entrance of the college. Follow the signs for Admissions Reception for a tour or Crusader Success Hub for the admissions offices. Register for Abbey Experience by calling 888.222.0110 or click the button below. Visit us during one of our enriching “Abbey Experience” sessions. These special open house events enable you to visit campus while other prospective students are here. 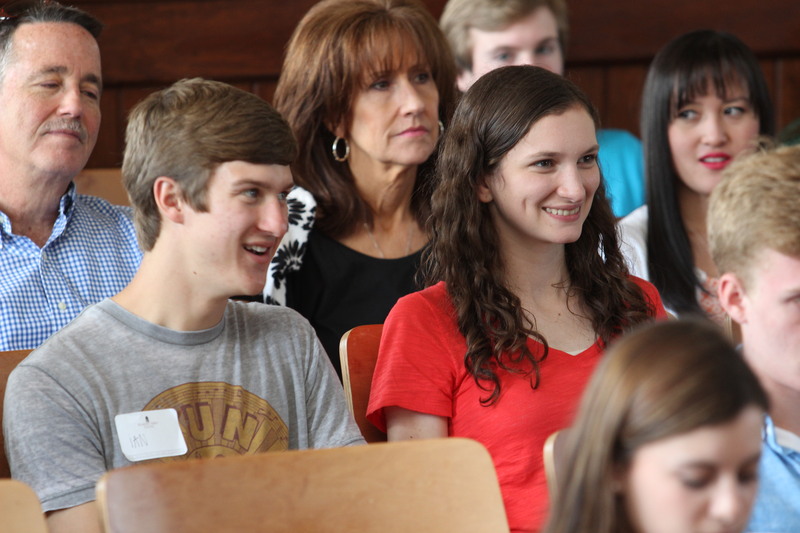 You’ll tour the grounds, meet students and faculty, ask questions of a student panel, and enjoy presentations by the President, Academic Dean, and Abbot. Join us for mass followed by a brunch presentation and then a tour of campus. See below for all of our visiting opportunities. 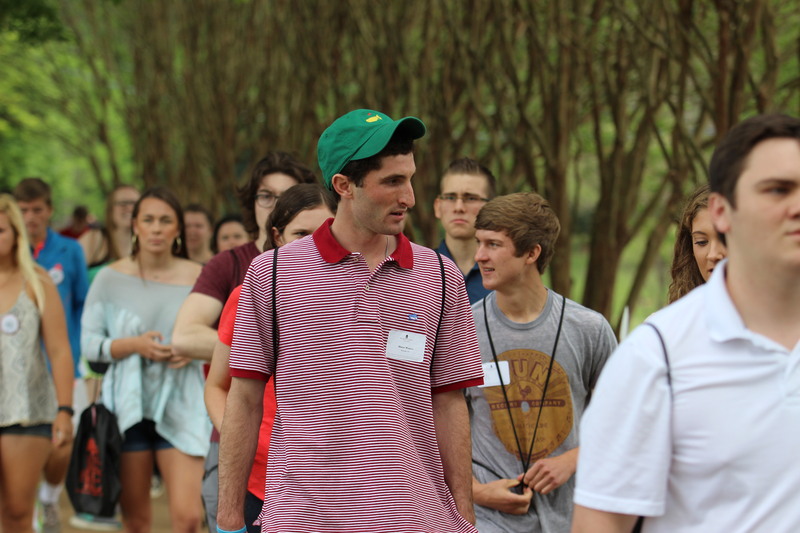 Meet our Abbey Ambassadors – the tour guides to your Belmont Abbey College experience. Our Abbey Ambassadors lead all campus tours and aid the Admissions Office in executing our campus events. 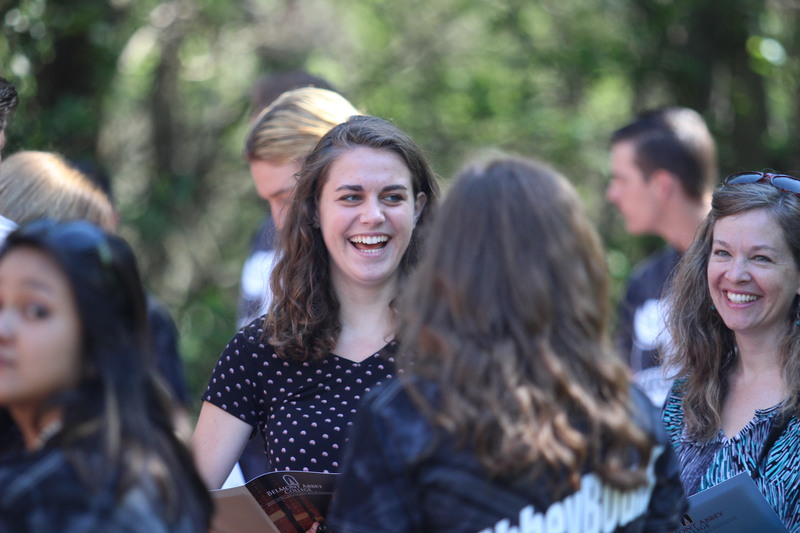 Abbey Ambassadors are comprised of current college students from a variety of backgrounds, pursuing a variety of different opportunities available at Belmont Abbey College – from athletics to theatre arts to Greek life. Our Ambassadors have dedicated their time in becoming a prospective student’s greatest resource in the college search. Learn more about our Abbey Ambassador Team below! If you haven’t come to visit our beautiful campus, now is the time! Come meet one of our Abbey Ambassadors and experience the rich beauty and remarkable history found all over our campus. 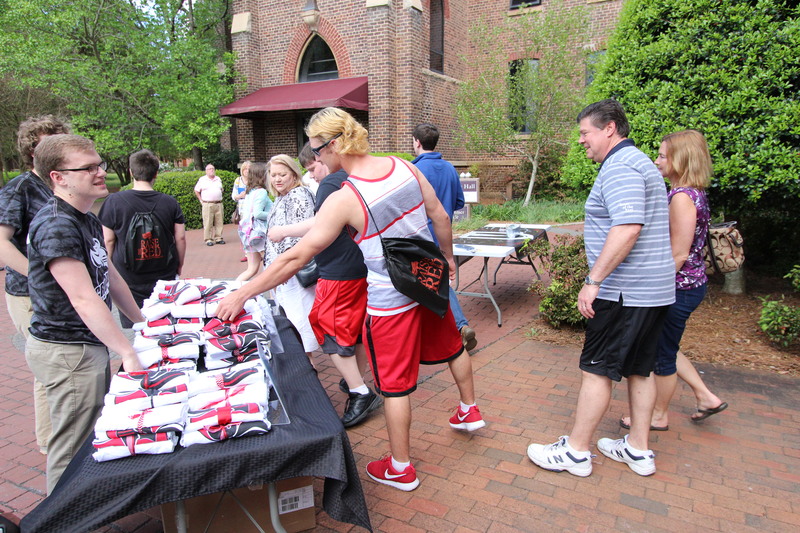 What is your favorite Belmont Abbey tradition? What is your favorite food from the dining hall? Why did you choose Belmont Abbey College? What do you love most about The Abbey? What is your favorite Abbey tradition? What is your favorite food in the dining hall? What’s your favorite food from the dining hall? What’s your favorite food in the dining hall?